The Indian Air Force made claims last month that one of their pilots had successfully shot down a Pakistan Air Force F-16. On February 25 Maj Gen Asif Ghafoor tweeted that India had violated the line of control near the Kashmir region, but the Pakistan Air Force had been quickly deployed. According to Ghafoor, the Indian planes were forced to drop their payload prematurely and the only damage done was to an uninhabited forest. The air assault came just 2 weeks after a suicide bomber killed more than 40 Indian soldiers in the Kashmir area. India and Pakistan have fought three major wars over the Kashmir region since 1947. While recent events seem to indicate an uptick in violence in the area, the last decade has been mostly a war of information. However, the incursion of the Indian Air Force into Pakistani airspace last month could be the beginning of an all out conflict between the two nations. Thankfully, the Pakistan Air Force was able to respond quickly and prevent the planes from dropping their payload on innocent civilians. If this does turn into a major series of skirmishes, there will be a large loss of life as well as major damage to the economies of both India and Pakistan. The Indian Air Force is made up of a variety of aircraft that range from small 3 seat helicopters to the Mig 29 fighter jet. According to their website, they also have corporate jets for the purpose of carrying VIPs to locations around the world. The Pakistan Air Force is similarly equipped with a fleet that includes F-7Ps, F-16s, and Dassault Mirage aircraft. These two powers engaging in an air battle could leave a wake of heavy damage to the countryside below them. 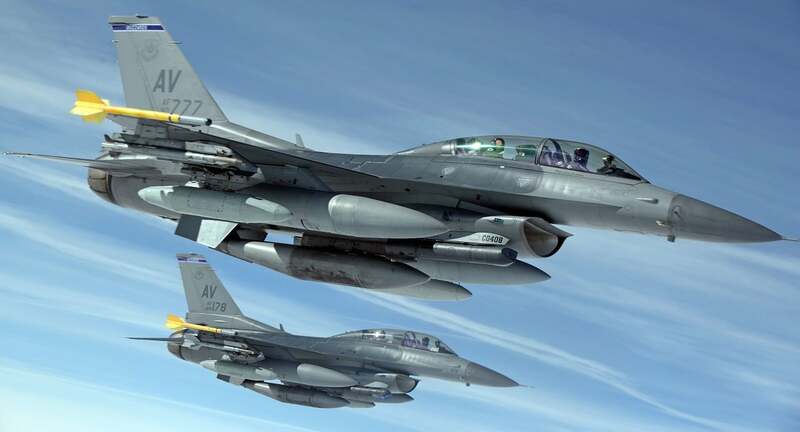 According to a report from Bloomberg, Pakistan Air Force officials say that the Indian Air Force claim of shooting down an F-16 last month is false. The report from India claimed that Wing Commander Abhinandan Varthaman was able to successfully take down on of the Pakistani F-16s just before his own plane was shot down. However, Foreign Policy Magazine says that this report was not true. The magazine cites US officials who performed a count of Islamabad’s F-16 fleet on the ground and said there were none missing. This news is hitting just a few short days before the Indian elections are set to start. Vipin Narang is an associate professor of political science at MIT, and he says that this news probably will not sway any Indian voters. However, he does believe it may make it harder for the country to deter Pakistan from retaliatory attacks. The Indian Air Force says the battle took place when the Pakistan Air Force sent fighters into their airspace. However, this was done in retaliation to a violation of the line of control. There will be ongoing tension between the two countries until an agreement is finally reached regarding the Kashmir region. The disputed territory has been a sore spot for both governments for 70 years. This latest skirmish between the Indian Air Force and Pakistan Air Force could be just the beginning of another bloody conflict between two nations. Let’s hope they can work out their differences diplomatically, and reduce the chance of further bloodshed.